Part of my recovery plan from the trauma that occurred back in October is to participate in at least 60 minutes of physical fitness daily. Needless to say, it’s challenging. Other than Zumba class, I get bored easily. 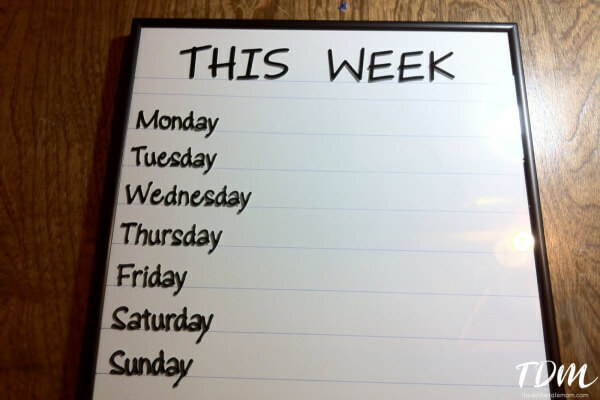 So I thought I would create a dry-erase workout board to serve as a tool to plan for (and remind me of) my fitness goals for the week. This project is pretty easy. Draw lines on a piece of paper for where you want your lettering to go. Place the paper under the glass of the frame. Tighten the back of the frame so the paper doesn’t shift. Add the peel and stick letters onto the glass of the frame. 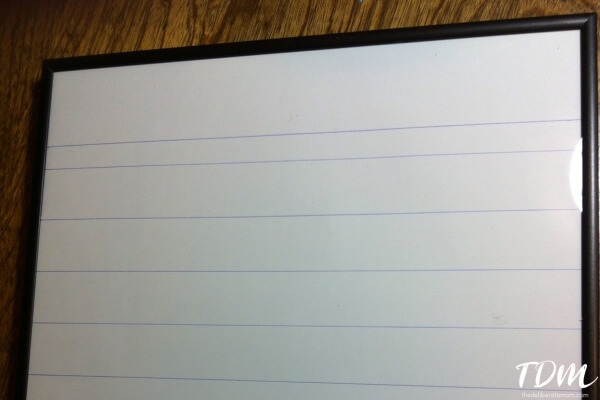 Remove the lined paper and replace with the scrapbook paper of your choice. 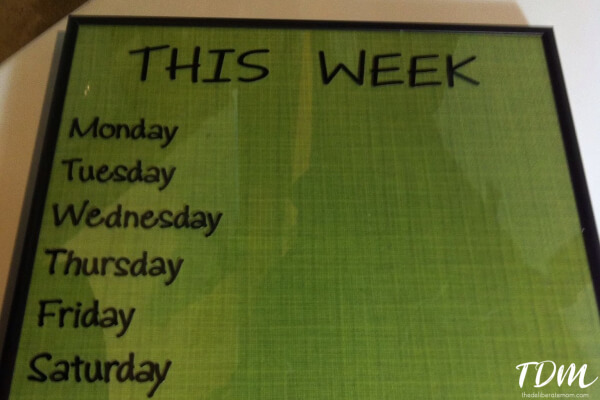 I love that the entire look of the board can be altered simply by changing the paper in the frame. 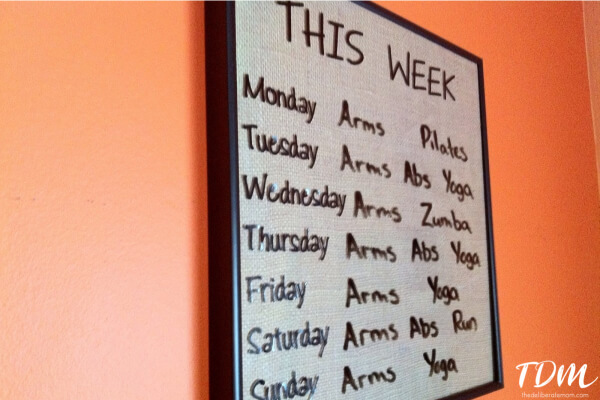 Use a dry erase marker to write out your workout schedule. I hung my workout board in my bedroom and I like to erase my fitness activities as I do them. 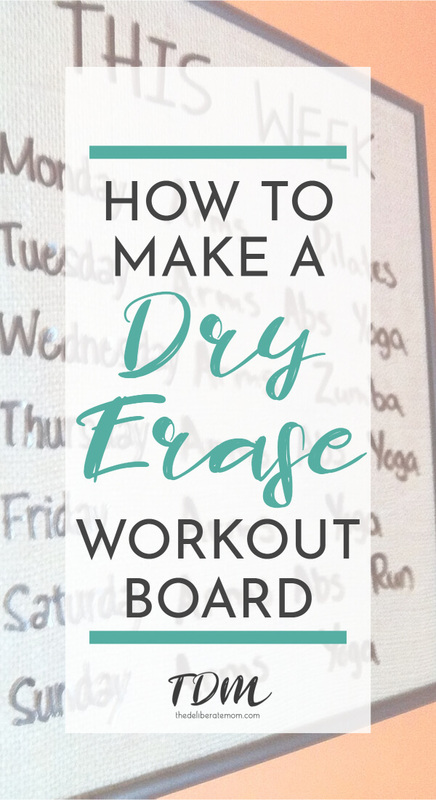 So that’s how you make a dry-erase workout board! It’s easy… yet so awesome! I love the feeling from getting my life organised and making tools that help me do so, way to go! Thanks! I look to lists for motivation… this is just a fancy list/plan! That’s a great motivational tool. I should probably make one like that for myself. I’ve just recently gotten the hang of working out. I should follow through, and not stop halfway. Do it! I can’t avoid it… it’s a constant reminder of what I need to do! I like erasing the activity once it’s done. It makes it that much more satisfying! Erasing the activity feels soooooooooooo good! That is a great idea! I definitely need to do this. Thanks for sharing! What a great idea Jennifer! I especially love how easy it is to change the look, Awesome! Thanks for sharing at Give Me the Goods Monday link party!